Annotation: For over half a century, Landmark Books have been an important part of children's libraries. Hailed as the first historical series for kids, Landmark Books show us where we've been and where we're going. George Washington grew up in the English colony of Virginia. He was tall and strong, fair in judgment, and respected by his friends as a good leader. 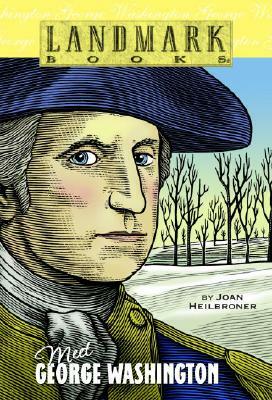 As he grew older, George saw how England took advantage of the American colonies -- and he didn't like it. When the colonies declared their independence, George was chosen to lead their army as its general. And when the colonies won their freedom, George was elected to lead the new nation as its first president. - Presidents; United States; Biography; Juvenile literature.